Please click the ‘Add to Cart’ button above to add this Book / Student Manual to the shopping cart. P&P rate £4.50. Then press ‘Checkout’ in the right-hand sidebar. OVERSEAS ORDERS Please order through our Contact the Authors page stating item(s) required and country (bottom of right-hand Menu). Lotus Publishing kindly donate £1 for every book sale to this website’s social enterprise to aid education about the programme. 144-page book (Lotus Publishing). Instructions on appropriate yoga to gain and maintain the health of your lower back. If you have a back and want it to be healthy – this book could help you. Useful for those with persistent or occasional low back problems. Specialised Yoga used in Research. This ‘Students’ Manual’ was first written for participants with chronic / episodic / recurring / persistent low back pain in a clinical research trial run by The University of York and funded by the charity ‘Arthritis Research UK’. The aim was to help yoga students practice effectively at home whilst on a 12-week ‘Yoga for Healthy Lower Backs’ course and also to remind them of how to practise well for life-long health forever. Minor edits have been done. Yoga teachers should not be without this comprehensive book. Those already practising yoga will find it interesting. Yoga works as a preventative and helps both the body and the mind. 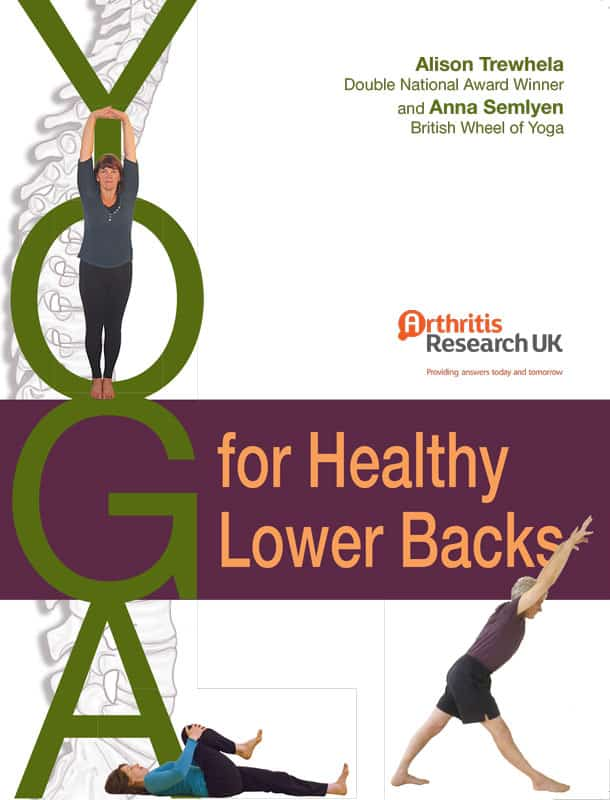 For maximum benefit, we strongly recommend you use this book alongside ‘Yoga for Healthy Lower Backs’ 12-class course of specialised yoga taught by a ‘Yoga for Healthy Lower Backs’ Registered teacher. Contains: over 50 photographs; pain-relieving poses; comprehensive information about how to perform the yoga; observations to be aware of in each pose; variations of poses; benefits of each pose; 5 practice sequences. Chapters include: What is Yoga; Yoga Research; How to Find a Teacher; Thank you for Committing to Yoga; Yoga for Your Daily Life; What to do if you get a Sign of a Painful Back Episode; Yoga Practice Sequences (x 5); Suggested Timetable of Daily Yoga Practice; Long Descriptions of Yoga Poses with Photographs; Twelve Weekly Class Themes; Anatomy of the Back; Warning Signs; Teacher Training; Authors’ Vision.